Wonderfully located on the scenic banks of the Olifants River, Ezulwini River Lodge strikes a perfect balance between size and great service. The spacious Luxury Suites are our personal favourite – especially being able to chill on your private deck or in your plunge pool whilst enjoying lovely views over the river below! The Standard Rooms are quite old fashioned and small – make sure you know which room type you’re booking after looking at the images of the rooms. 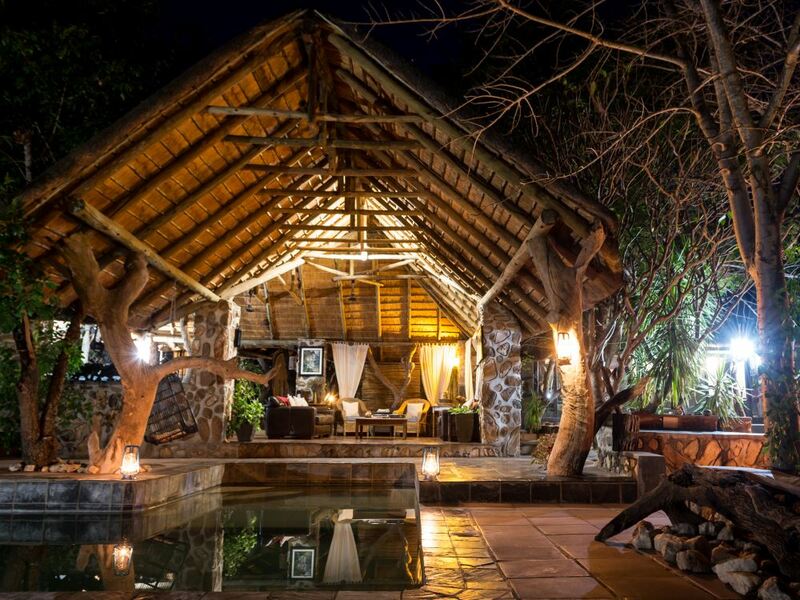 Wonderfully located on the scenic banks of the Olifants River, Ezulwini River Lodge is a safari getaway that is strikes a perfect balance between size and great service. The largest draw card of Ezulwini River Lodge has to be the setting. We’re always a sucker for lodges located on the banks of flowing rivers and the same applies here! 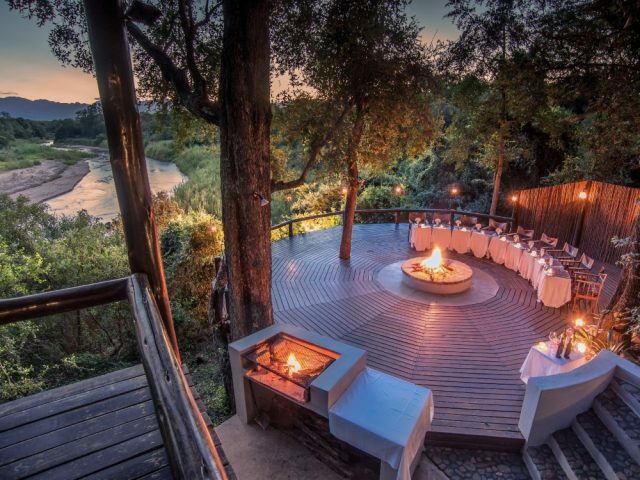 Ancient mahoganies and fig trees surround the rooms, leading down to the foot of the picturesque Olifants River where animals both large and small come to slake their thirst. An elevated timber walkway leads out to a shaded viewing deck high about the meandering banks and waterhole offering ample opportunity to take a drink yourself and listen to the birds twittering in the surrounding trees as you watch the wildlife roam by. The deck is almost in the canopy of the tree which adds delightful shade even if the foliage does tend to restrict direct views down onto the river. The designers have taken their inspiration from these gorgeous surrounds, incorporating rich, polished wood, natural grass thatch, and stone into the lodge itself. A pool lies right off the edge of the common area, so you can cool off during those hot summer days just as the ellies take advantage of the river nearby to do the same! It’s a smallish pool but more than big enough not to ever feel overcrowded, especially given that half of the lodge’s rooms boast their own private plunge pools! Talking of rooms, Ezulwini River Lodge offers 4 Standard Rooms and 4 Luxury Suites, and it’s pretty important that you understand which you are booking as the differences between them are pretty significant. The 4 Standards are in a traditional rondavel style which, whilst perfectly comfortable, aren’t going to appeal to those looking for significant space and light and cutting edge design features. Instead it’s the 4 Luxury Suites that we really recommend. Far larger than their standard counterparts, these spacious rooms offer a much more appealing combination of more contemporary design style together with the use of earthy elements like cement screeded floors and polished timber. African-inspired art pieces set a tone of richness and relaxation, while private plunge pools and wooden viewing decks (which offer great views over the river) lend an air of exclusivity and openness to the suites. There’s even an outdoor shower for those hot, dusty evenings that beg you to take a long soak under the stars (plus an added minibar, which saves you a walk to the main lodge if you’re looking to enjoy a drink in the quiet and seclusion of your luxurious abode). 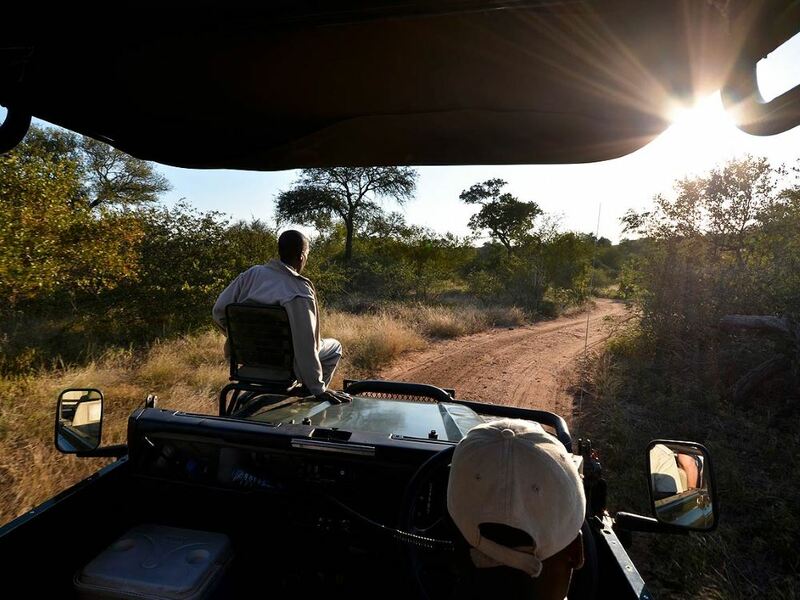 Ezulwini River Lodge is set in the Big 5 Balule reserve – and whilst it doesn’t have the renown of the other private reserves that border the Kruger Park, it’s unfenced borders with that famous park ensures the presence of big game. Of course, the Olifants River as the largest river flowing through the Kruger Park is a massive presence with its attractive riverine forest and year round flow making for great game viewing opportunities in very scenic surrounds. Best of all, the insightful rangers and guides of Ezulwini take full advantage of its unique location. They’re friendly, sharp-eyed, and hold a stunning wealth of information on the flora and fauna of the South African bushveld (and seem to know exactly where the animals are lurking). These twice-daily game drives are a treat, and its Ezulwini’s professional and friendly staff that make them a joy. Warm smiles and hot coffee make those early mornings a real pleasure. And this is the other secret in Ezulwini’s recipe: it’s talented and hugely friendly staff. Service is done with a smile: whether you’re poolside and looking for a drink or on a 4x4 adventure through the bush after elusive leopards, you always feel like your needs are being placed squarely first. The chefs and barmen are no exception, either: supple, steaming roasts, piping hot vegetables and delectable desserts are standard fare throughout the day, showcasing the cooking staff’s expert abilities, while a wide selection of exquisite cocktails and fine local wines act as the perfect pairings no matter what dish you desire. Sitting under the stars in the flickering light of the campfire, it’s easy to see why so many people fall deeply in love with this place. Cosy, comfortable and great value! 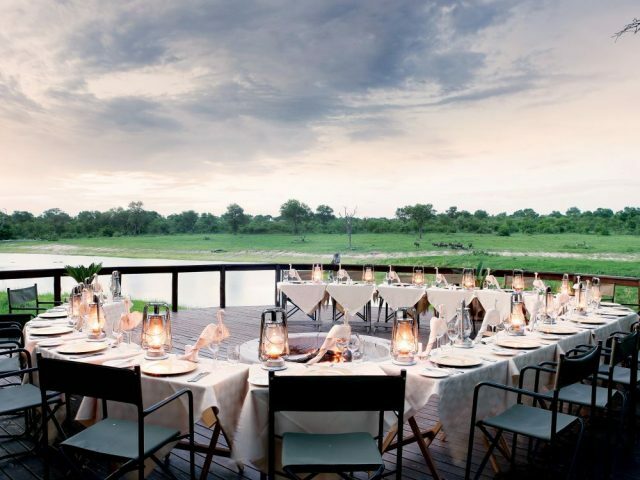 Combines 5 Star-plus game viewing in the prime Sabi Sand reserve with simple 4 Star accommodation. Just 5 suites in a stunningly pretty location overlooking the Kuvjename River – add in decent leopard sightings and the chance to track wild cheetah on foot! 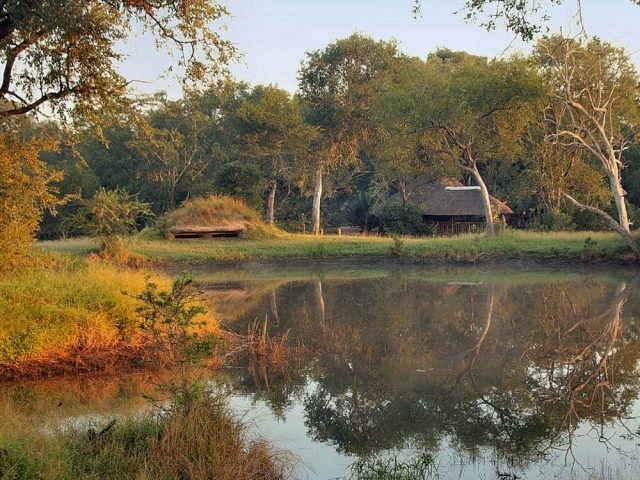 Intimate lodge overlooking a large waterhole providing excellent game viewing even from the comfort of the camp!